Crinkle Cookies or Crackle Cookies - a favorite holiday cookie recipe for many Christmas Cookie bakers. It doesn't really matter whether you call them Crackle Cookies or Crinkle Cookies, either way these contrasting chocolate and powdered sugar cookies are delicious! I've gathered some favorite easy recipes for Chocolate Crinkle Cookies to share with you. One is super easy with only four ingredients and starts with Betty Crocker's Sweet Rewards low-fat fudge brownie mix, another is adapted from Martha Stewart, then I have another one adapted from Betty Crocker, and lastly is a quick and easy variation for chocolate crinkle cookies made from chocolate cake mix. Heat oven to 350F degrees. Grease cookie sheet and set aside. Mix dry brownie mix, water and egg with spoon - about 50 strokes or until well blended. Shape dough by rounded teaspoonfuls into balls. Place cookie balls on prepared sheet about 2 inches apart. Bake 10 to 12 minutes or until almost no indentation remains when touched lightly in center. Immediately remove from cookie sheet and cool completely on wire rack. Serving ideas: Serve warm cookies with a scoop of fat-free vanilla frozen yogurt and topped with warm fat-free chocolate fudge topping for a mini Brownie Crinkle Sundae! This recipe yields about 3 1/2 dozen Fudge Brownie Crinkle Cookies. This cookie dough needs to chill for at least 2 hours before baking, so this cookie recipe requires some advanced planning. In a large bowl, beat the butter and brown sugar with an electric mixer on medium high speed until light and fluffy, 3 to 4 minutes. Add the eggs and vanilla, and beat until well combined. If necessary, scrape down the sides of the bowl with a rubber spatula to make sure all the ingredients are well blended. Add the melted chocolate and beat until blended. With mixer on low speed, alternate adding flour mixture and milk until just combined. Divide the dough into quarters, wrapping each with plastic wrap, and chill in the refrigerator until firm, about 2 hours. Preheat oven to 350F degrees. Line cookie sheets with parchment paper or silicone liners. Remove portions of cookie dough from the refrigerator one at a time. Divide the portion of dough into 16 1-inch balls. Place each of the sugars in a shallow dish. Roll each ball in granulated sugar and then in confectioners' sugar to coat completely. Bake, one cookie sheet at a time, until the cookies flatten and the tops form cracks, about 12 to 15 minutes. Remove from the oven and place the baking sheets on wire racks to cool. Store in an airtight container, between layers of parchment or wax paper for up to 1 week. 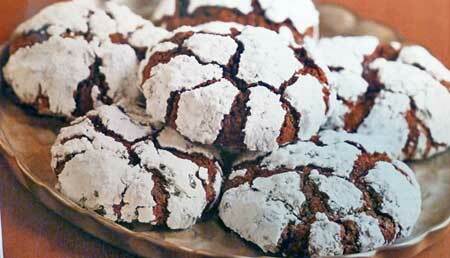 This recipe yields about 5 dozen Chocolate Crinkle (Crackle) Cookies. This Chocolate Crinkle Cookies recipe is much easier than Martha's version above. Since the dough calls for vegetable oil, instead of butter you can stir the dough together with a wooden spoon, instead of digging out the electric mixer too. The cookie dough needs to chill for at least 4 hours before baking so requires some advanced planning. In a medium size bowl stir together the flour, baking powder, and salt with a whisk until well blended and set aside. In a large bowl stir together the chocolate, sugar, vegetable oil, eggs, and vanilla until well combined. Stir the flour mixture into the chocolate mixture just until combined. Cover the bowl with plastic wrap and refrigerate until well chilled, at least 4 hours. When ready to bake your cookies, preheat oven to 350 degrees. Line your baking sheets with parchment paper or silicone liners. Alternatively lightly grease cookie sheets with shortening or nonstick cooking spray. Place the confectioner's sugar in a shallow dish. Drop cookie dough by teaspoonfuls into the confectioner's sugar and roll in sugar to coat as you shape them into balls. Place on lined cookie sheet about 2 inches apart. Bake the cookies 10 to 12 minutes, until they are set with surface cracks, but still slightly soft in the center. Do not overbake or they will be hard instead of chewy. Remove the cookie sheets from the oven and let the cookies rest on the cookie sheets for 1 minute. Remove the cookies with a spatula to wire racks to cool completely. Store in an airtight container, between layers of parchment or wax paper for up to 1 week. Note: To make the chocolate crinkle cookies look snowier, dip them in confectioners' sugar again after they are cool. 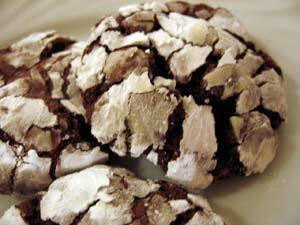 This recipe yields about 6 dozen Chocolate Crinkle (Crackle) Cookies. The easiest chocolate crinkle cookies ever! 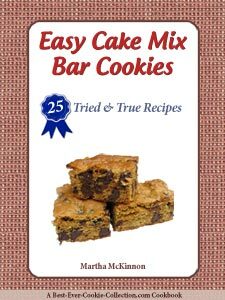 Since they start with a chocolate cake mix, they mix together quickly and there's no need to melt chocolate. This cookie dough needs to chill for several hours so requires advanced planning. In a large mixing bowl, beat the cake mix, water or coffee, melted butter, and egg with an electric mixer on low speed for 1 minute. Scrape down the sides of the bowl with a rubber spatula to make sure all ingredients are well combined. Stir in the chocolate chips until incorporated throughout the dough. Preheat the oven to 350F degrees. Line your baking sheets with parchment paper or silicone liners. Alternatively, lightly grease cookie sheets with shortening or nonstick cooking spray. Place the confectioners' sugar in a shallow dish. Bake the cookies 10 to 12 minutes, until they are set with surface cracks but still slightly soft in the center. Do not overbake. 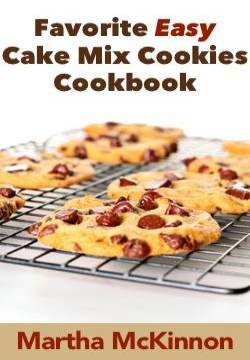 This recipe yields about 4 dozen Easy Chocolate Crinkle (Crackle) Cake Mix Cookies. These cookies will actually decorate themselves as they bake when the powdered sugar coating cracks open to reveal the chocolatey fudge inside. In a double boiler, combine the butter and chopped chocolates. Heat over barely simmering water, stirring often, until the chocolates are melted and smooth, about 3 to 4 minutes. Set aside to cool slightly. In a large bowl, with an electric mixer on medium-high speed, beat the eggs and granulated sugar until pale yellow and thickened, about 2 minutes, scraping down the sides of the bowl as necessary. Add the chocolate mixture, vanilla and coffee to egg mixture and beat until well blended. Cover the bowl with plastic wrap and refrigerate until well chilled, about 2 hours. Position rack in the middle of oven and preheat to 325F degrees. Line your baking sheets with parchment paper or silicone liners. Sift the confectioners' sugar in a shallow bowl. Scoop up rounded tablespoonfuls of cookie dough and roll the dough between palms of hands into a ball. Lightly roll the cookie dough ball in the confectioner's sugar to coat completely. Place dough balls on prepared cookie sheet about 2 1/2 inches apart. Bake the cookies 13 to 15 minutes, until the tops are puffed, crinkled and feel firm. Remove the cookie sheets from the oven and let the cookies cool on the cookie sheets for 5 minutes. Transfer the cookies with a spatula to wire racks and cool completely. Store in an airtight container, between layers of parchment or wax paper for up to 3 days. This recipe makes about 32 Gooey Chocolate Crinkle Cookies. If your oven has a window, you'll want to turn the light on and a take a peek while they bake. What you'll see is that as the cookies bake, the outer sugar coating begins to "crack up" and the cookies take on a unique look. Don't forget to rotate your baking pans about 180 degrees through baking time so that they bake evenly. Heat 1 inch of water in bottom half of double boiler over medium heat. With heat on, place chopped unsweetened chocolate pieces in top half and stir with a rubber spatula until completely melted and smooth, about 3 minutes. Transfer melted chocolate to bowl and set aside until needed. In a mixing bowl, combine the granulated sugar and vegetable oil and using a stiff whisk, stir until the sugar resembles wet sand. Add the eggs and vanilla extract to sugar mixture and whisk vigorously until incorporated. Add the melted chocolate and stir until silky smooth. Tightly cover the bowl with plastic wrap and refrigerate for 1 hour. Position rack in the middle of oven and preheat to 350F degrees. Line your baking sheets with parchment paper or silicone liners. 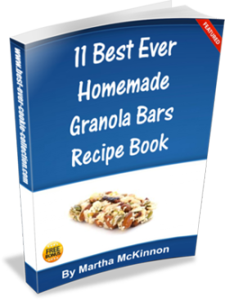 Scoop up rounded tablespoonfuls of cookie dough and roll into balls between palms of hands. Lightly roll the cookie ball in the confectioner's sugar to coat evenly and generously. Bake the cookies 12 to 14 minutes - turning sheets 180 degrees halfway through baking time - until the tops are crackled and feel firm. Remove baking sheets from the oven and let the cookies cool on the cookie sheets for 5 minutes. Store in an airtight container, between layers of parchment or wax paper until ready to serve. This recipe makes about 3 dozen Chocolate Crackups.